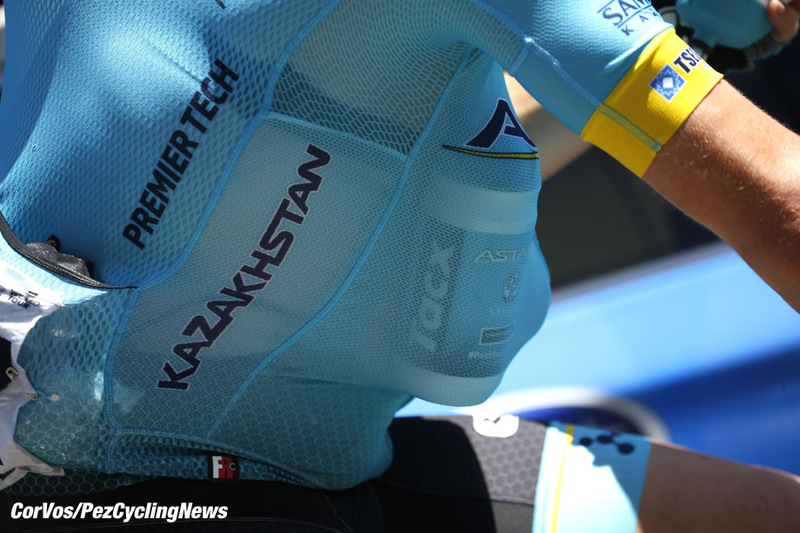 Cyclists determined to improve their condition have a wide variety of choices, from training diaries to formal programs to online coaching. But recent developments have now opened up a multi-million dollar market for an aspect many of us don't pay much attention to: recovery. A new book, “Good to Go” is devoted entirely to this subject and the science—or lack of science—behind it all. 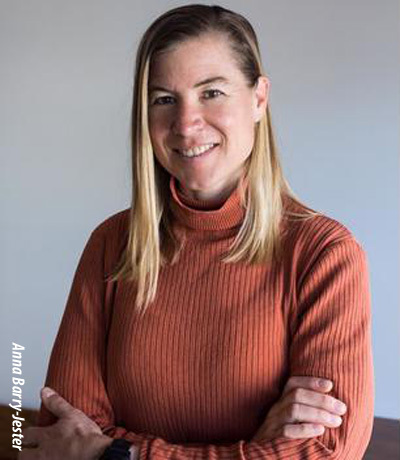 Christie Aschwanden is a science writer who was a collegiate athlete in cycling and an elite cross-country skier. When asked to write about recovery, she was concerned that there would not be enough to fill a book but instead as she went through the science and looked at the trends she became worried that there were would be too much. 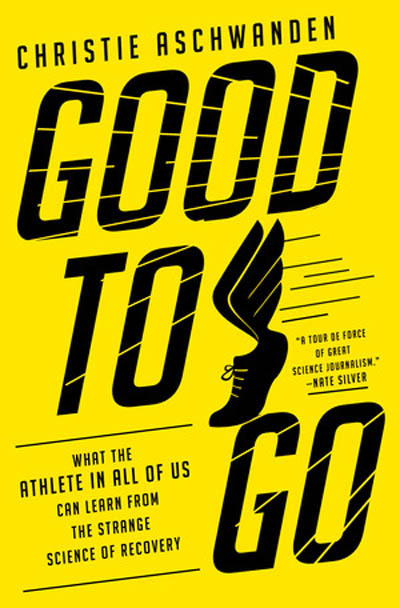 “Good To Go” is the distillation of a lot interviews with scientists, coaches, and athletes, reviewing science literature, and personally testing the latest advances (or supposed advances) in recovery. The end result is an entertaining and personal examination of the subject that will make any athlete (wanna-be or accomplished) think more carefully about their post-activity activities. 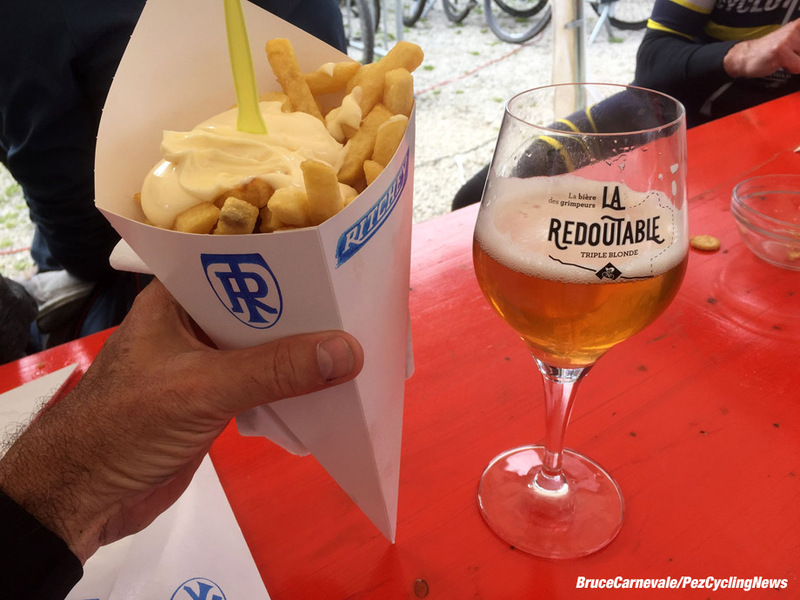 Is beer a recovery drink? The book opens in an extremely promising way by asking the question as to whether beer consumption aids in recovery. Ms. Aschwanden's search of the literature is inconclusive so she endeavours to actually build a clinical test to find out. She lays out all the steps in preparation: the double-blind procedure, the running to exhaustion on the treadmill technique, the use of placebo (non-alcoholic) beer, and so forth. A policeman is present with a breathalyser to determine who is over or under the legal limit. Consumption was calculated based on body weight but it turned out there was a significant variation between individuals. Tests concluded, the author and her colleagues looked at the results for a final determination and (spoiler alert!) it appeared that women benefited more from beer. Or maybe not. This is an excellent introduction to the limitations of science: the sample group was probably too small; the test procedure may have been testing the wrong thing, such as the ability to sustain boredom on a treadmill; and other variables had not been taken into account. This flashes warning signs: how much real science with conclusive results characterize the study of sports recovery? With this caveat, the author plunges into What We All Know about recovery. We all drink a lot before the night of a big event, right? The first chapter covers dehydration and the myths around it, as well as the dangers of hyponatremia, the over-consumption of water. The author points out that nobody has died of dehydration during a marathon, while it has happened with hyponatremia. The idea of drinking to replace all the fluids lost while exercising is a common one but appears to be unnecessary. Once again the science is inconclusive, the samples too small. The logical solution is to drink when you are thirsty and not when you aren't. The colour of your urine means nothing too. Nutrition gets a chapter and, unsurprisingly, while purveyors of sports nutritional products are keen to push their wares as a specific solution, the human body appears to be adaptable enough to make do with whatever it gets. Usain Bolt consumed McDonalds chicken nuggets before winning his Olympic medals but did not win them because of the nuggets, although McDonalds is an Olympic sponsor. The other questionable nutrition story is the “window” wherein you are supposed to consume your recovery meal or drink after a workout for maximum effect, but it seems our bodies, even if needing to replenish glycogen stores, don't care if it's 30 minutes or six hours after the workout unless we are proceeding to another event directly after the first one. The next subject, “The Cold War,” is particularly enlightening. For some years it has been argued that icing sore muscles or even taking an ice bath after an event or workout will help reduce inflammation but this also does not appear to have much scientific backing. In fact, icing may even make things worse. The author acts as a guinea pig and tries the latest thing, cryotherapy, in which the subject is in a chamber for only a few minutes at temperatures ranging down to -250ºF. It seems that this is for people without enough patience to endure an ice bath but, again, the science behind it is murky at best. But there are service providers out there willing to take your money for a session. 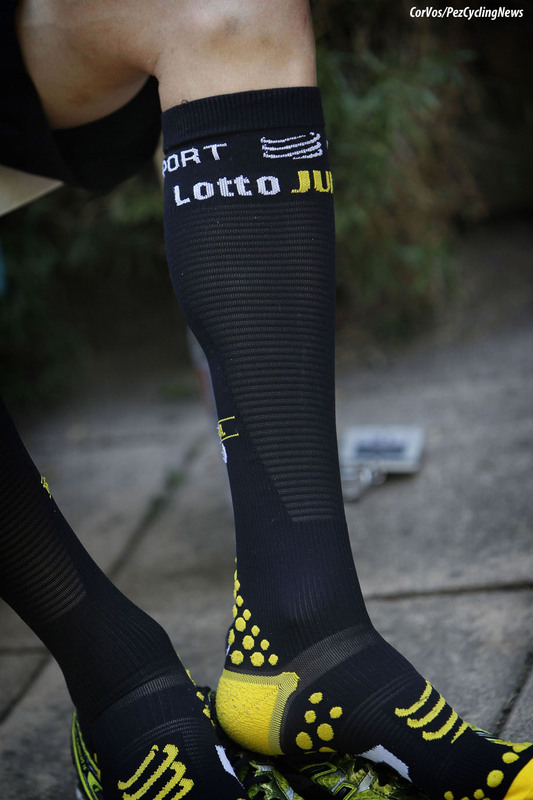 “Flushing the blood” is another claim for another line of products and the author now dons some compression tights, although she finds getting them on a lot easier than taking them off. The whole concept is that devices—whether tights, pneumatic compression devices, foam rollers, or massage—enhance blood flow to improve recovery. As the author admits, many of these make you feel good but she is puzzled that athletes, who have good blood circulation, would need any of these special gadgets. The simple and obvious way to increase blood flow is simply to exercise. She suggests doing what Tour de France riders do on their days off: ride really slowly and spin gently. Nobody will take away their massages, either. There is so much more to this book: infrared saunas; the use of meditation as a stress reducer; sensory deprivation chambers (now called “float tanks”); the unregulated supplement industry and “FOMO,” the fear of missing out; the effects of overtraining and how to deal with them; and an excellent chapter on the best (and cheapest) recovery technique: sleep. There is a great deal about the placebo effect and how it can actually be beneficial. 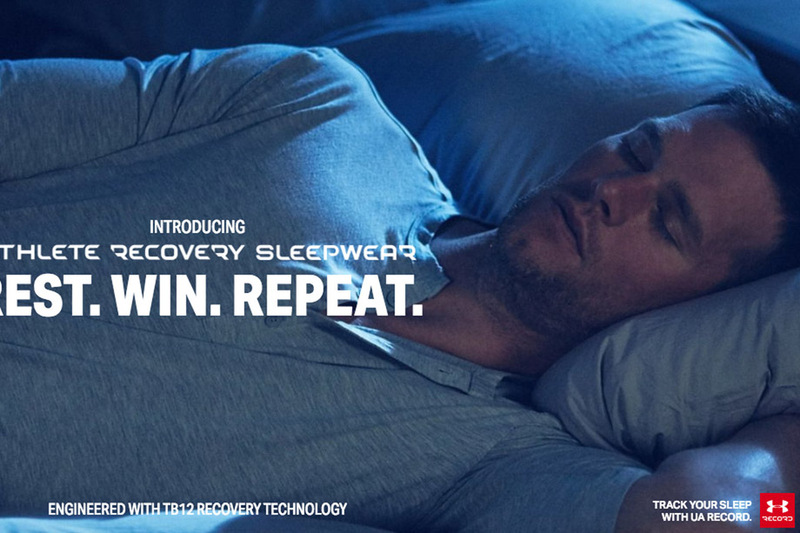 Ms. Aschwanden also tries out Tom Brady's pyjamas. There are people who will use science to justify whatever recovery technique they are using and when there is no science to support it they will say, well, it just works for them. This is really key to understanding athletes and the message in this book. Athletes are driven, they want to excel and doing more is better than doing less to people with this mindset. The key is to know your own body and how it functions. In the concluding chapter, two athletes are presented: one has an incredibly elaborate plan for recovery activities, with special equipment and supplements and techniques that take up a lot of time; the other athlete just “goes with the flow” and is not concerned about numbers. The author thinks that both approaches are fine if, again, they work for you. The book is being released on February 5, 2019, and Ms. Aschwanden is undertaking an extensive book tour in the United States for those of you who wish to argue with her about stretching, which also apparently does not work. This is an instructive and very entertaining summary of our latest athletic obsession and why we do some of the things that fashion insists are right. Yet there are no perfect answers for everyone. I thought back to my visit to the big football stadium in Frankfurt a few years ago. In the locker room a half-dozen bathtubs were sunk into the floor and we were told this was so players could have ice baths after training or a game. It was also pointed out that when the Australians came to visit, they used them for their beer. Smart people. None of the photos here are in the book, apart from the cover and authors photograph. 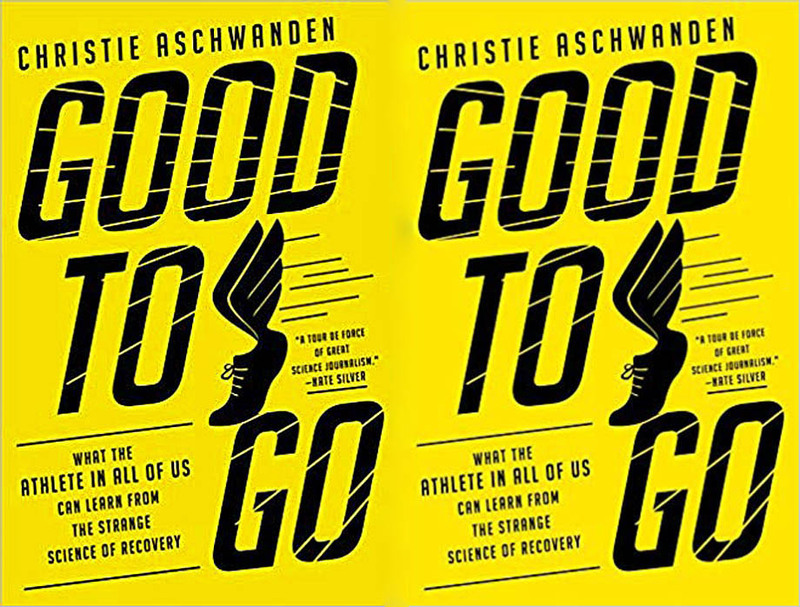 # Buy “Good To Go” by Christie Aschwanden from AMAZON.COM.